Rick Renzi (born as Richard George Renzi in Fort Monmouth, New Jersey, U.S.) is a famous Politician from USA, he is 60 years old and still alive, born June 11, 1958. Richard George "Rick" Renzi is an American Republican politician and businessman. 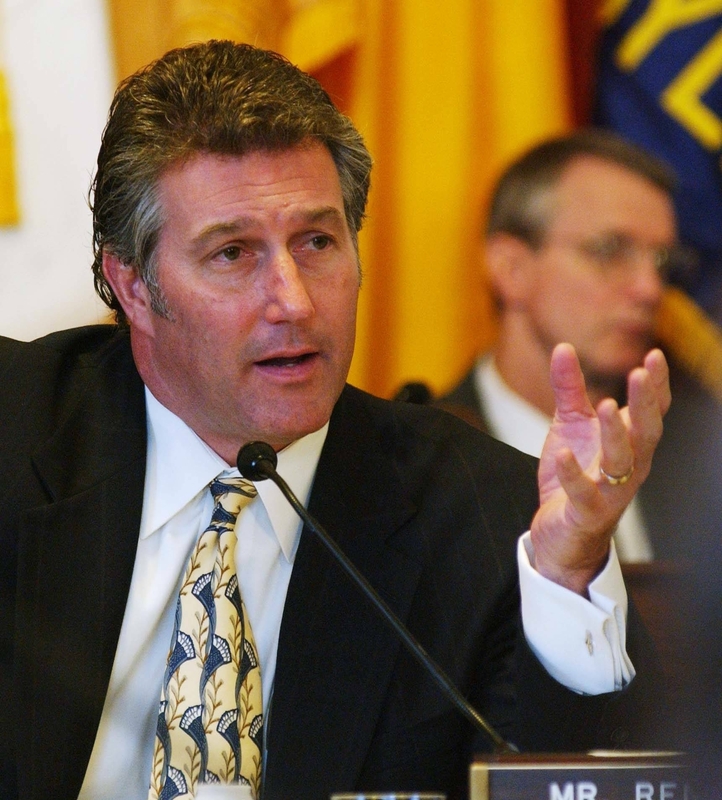 He represented the state of Arizona's First District in the U.S. House of Representatives 2003-2009. He decided not to stand for reelection in midterm elections in the U.S. in 2008 after being the subject of a criminal investigation. Renzi attended school at Buena High School in Sierra Vista. He received his bachelor's degree in 1980 at Northern Arizona University in 2002 and his law degree from Catholic University. He started in 1989 the company Renzi & Company, which later changed its name to Patriot Insurance Agency. Renzi won against five other candidates in the Republican primaries for the congressional election in 2002. Among rival candidate groups were Lewis Noble Tenney, and the conservative radio personality Sydney Hay. Renzi defeated Democrat George Cordova in the midterm elections with 49% of the vote against 46% of Cordova. He was re twice. Renzi temporarily left the House intelligence committee April 19, 2007 after the FBI investigation against him had become public knowledge. He reported later that year that he no longer running for reelection and 22 February introduced the charges against him relating eg to insurance fraud. Renzi was succeeded in January 2009 as congressman of Democrat Ann Kirkpatrick. He is born under the zodiac gemini, who is known for Communication, Indecision, Inquisitive, Intelligent, Changeable. Our collection contains 19 quotes who is written / told by Rick. "It is common for rural hospitals and nursing homes to operate as a single unit in order to take advantage of savings related to cost-sharing of some services and staff"
"If we can produce more ethanol and bio-diesel to help fuel our vehicles, we will create jobs, boost local economies and produce cleaner burning fuels. This will keep dollars here at home where they can have a positive impact on our economy"
"In recent years, the choice of drugs on these reservations and throughout my district has been methamphetamines. It has destroyed the rule of law among the reservation people. It is killing our tribal youth in this country"
"I have a high regard for Native languages and the pivotal role they have played in our nation's history"
"I believe there should be no arbitrary date set for withdrawal and yet no permanent, unending deployment. No cut and run, yet measured progress in helping a people who want to be free without an illusion of overnight success"
"Arizona's forest fires are not waiting for April, and neither will we. That is why I am pushing for stepped up deployment for Hot Shot wildfire crews in March rather than April, in order to better prepare for the expected fires in northern Arizona"
"Last year, I twice voted against the Labor, HHS, and Education Appropriations bill because it did not adequately fund education in general, and Native American programs specifically"
"It is important that Congress works to promote home ownership in Indian Country. These federal housing funds and programs will help young Native American families to stay on tribal lands in order to live, work and raise a family"
"If oil companies were to invest their high profits into alternative fuel research it will help America move toward new forms of energy"
"I represent more Native Americans than anyone else in Congress"
"We must shift the energy policy debate in America with an increased focus on alternative and renewable fuels and Congress must pass meaningful alternative fuels and incentive programs to help move the U.S. away from dependence on foreign oil"
"The home ownership process for Native Americans has been hobbled by bureaucratic delays and regulations"
"Requiring military hospitals to perform elective abortions exposes the physicians, the nurses, the military personnel to move against their own personal convictions of life in many cases"
"Arizona faces unique healthcare challenges including uncompensated care for illegal immigrants, and the large number of Native Americans who live in remote and isolated areas of the state"
"Preparing to fight wild fires is only part of the solution, we must be more pro-active and prevent the fires before they start, or reduce their intensity by removing forest waste and fuel build up"
"We need only look to our Navajo Code Talkers during World War II to see the value that Native languages bring not only to their culture, but to the security of all Americans"
"Typically, an historic site is considered by the National Park Service to contain a single historical feature, while generally a National Historic Park extends beyond single properties or buildings"
"As hurricanes Katrina and Rita raged through the southeastern United States last summer, much of America's energy infrastructure based in the Gulf of Mexico was damaged or destroyed causing gas prices to soar"